There are several plants in the wild that grow languidly that we have likely been seeing for most of our lives. One of those plants could be the sweetly smelling meadowsweet. Traditionally, the plant was used to get rid of the unpleasant smells in old buildings and factories. With a scientific name like Filipendula ulmaria, it has also been known to be used in vinegar, mead and wines. Found in specific parts of Asia, North America and Europe it has been used as an ornament to a functional part of a garden. Luckily for us, it also has healing properties that make it a great element to incorporate into your life. Because of the intrinsic anti-inflammatory elements within the plant, it has been used to treat mild aches and pains, arthritis and even headaches. The Native Americans would mash the root of the plant into a concoction and place it on the area of discomfort. It can even be used on gout or bouts of eczema. Due to the salicylate content, the amount of inflammation that you may be experiencing will dissipate in the presence of this amazing plant. The analgesic properties will help the discomfort. If you are suffering with the way your stomach sometimes acts after you eat certain foods, you want to try this very impressive oil out. Meadowsweet is known to help tummy troubles that begin with digestion and can turn into stress-related issues like ulcers. 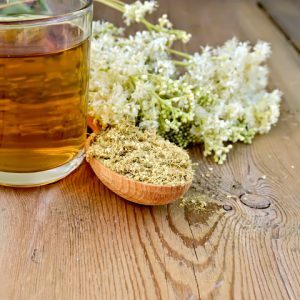 Studies have shown that the components in meadowsweet help to promote the healthy flow of your digestive juices and can even be found to prevent and heal lesions within the stomach that can cause very serious issues. Due to the analgesic properties that are found within the plant, using it is a great way to break a fever. If you are feeling feverish or under the weather - hot and cold flashes, chills and general lethargy - try rubbing some of the meadowsweet on the bottom of your feet. Your fever will then be drawn out from your feet and you should start to feel better in a couple of hours. If you are feeling specific aches and pains, you can also topically treat them with the powerful and impressive meadowsweet. When that seasonal sniffle comes around, there's no need to inundate yourself with cold medicine and cough drops. Many of the over-the-counter medicines are often filled with additives and preservatives that you don't want to ingest. Opt to go the natural route with plants like meadowsweet that can help with congestion, sore throats, coughing and even the wheezing that asthmatics suffer from. The natural anti-inflammatory properties of the plant help to clear the pathways for clearer, better breathing and also help to take stress and pressure off the lungs and throat. Having trouble breathing is not a very fun experience and this plant can help to make it a distant memory. You can purchase meadowsweet online from several companies at amazon.com.